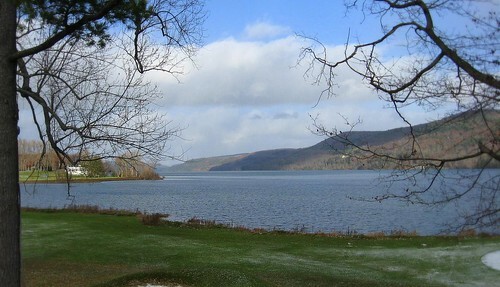 This post is about a recent visit we took to Cooperstown, NY. It was years ago (well, more like decades ago!) 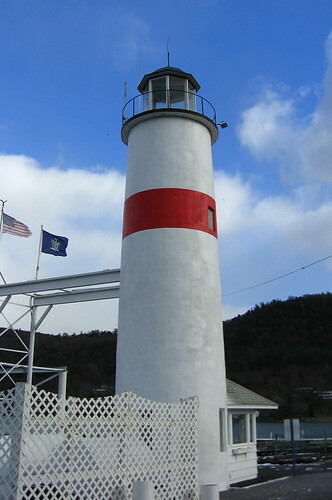 I used to visit the town frequently with my husband, when we lived in the area as newlyweds. Some of the children had never been here, so I wanted to take them to see quintessential small-town America. 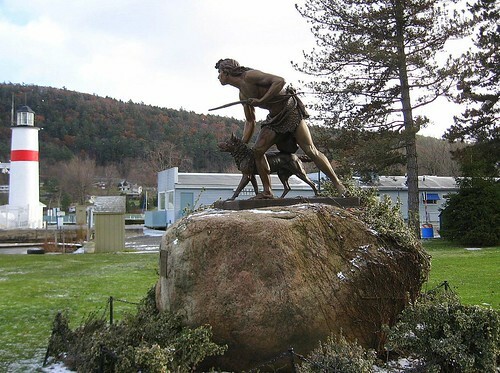 We considered going to the Farmer’s Museum to see the Cardiff Giant, and I wanted to go to the Fenimore Art Museum, but we didn’t. The kids weren’t really up to interacting with crowds, and my youngest rolled his eyes when I suggested going to another museum. However, the Farmer’s Museum is open April 1st with reduced rates, so here’s hoping we go then. Cooperstown was packed. We drove up and down the streets looking for a place to park. we finally found an empty spot in the marina’s parking lot. 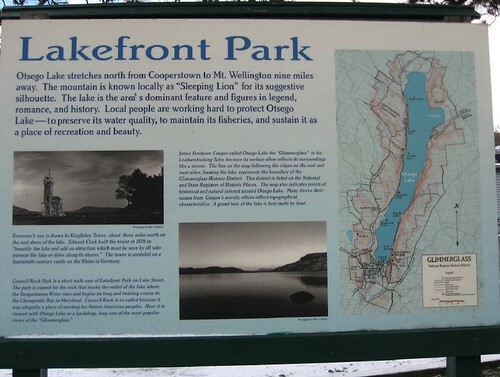 We walked to the Lakefront Park and got a look at Otsego Lake. The view of the lake behind the Otesaga Hotel is beautiful. But the very cold wind blew across the lake. It was uncomfortably cold, so we didn’t stay long. We made our way up toward the main drag. The weather was brisk and the Christmas lights were shining, and it all had a very festive air. Snowflakes drizzled down, leaving behind a flash of glitter but no depth of substance. I am not used to having such a snowless November. 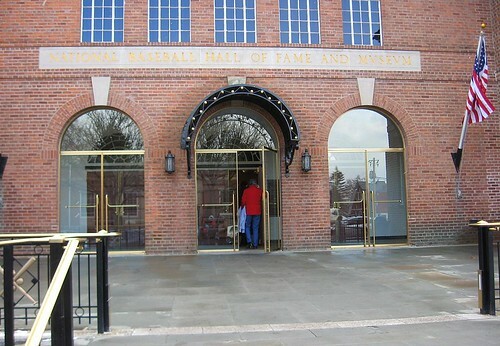 Crowds of people went in and out of the National Baseball Hall of Fame and Museum. Local legend says that baseball was invented in the town, by Abner Doubleday, in 1836. 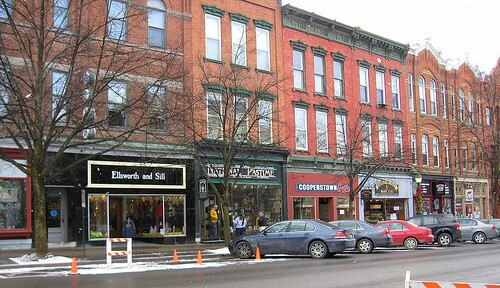 The Hall of Fame fuels most of Cooperstown’s economy. There were multitudes of baseball-related shops everywhere: custom-made bats, baseball card trading, baseball chocolates, posters, hats, clothing, baseball breadboxes and baseball potholders… the creativity of the entrepreneur knew no bounds when it came to capitalizing on baseball. We strolled up and down the streets, and stopped in a store once in while to warm up before venturing on. 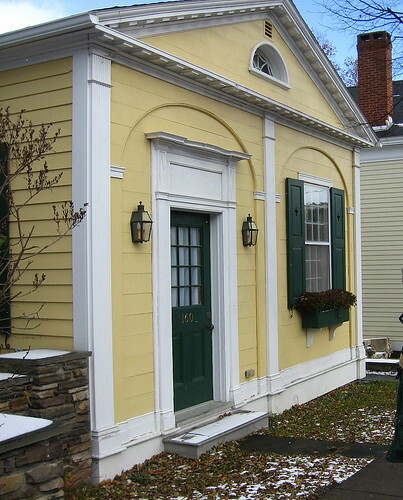 Main Street and the surrounding streets have retained their 18th century flavor. The houses and buildings are the same as they were 200 years ago. Little proprietor’s signs hung from local businesses as we walked. Cooperstown has gone to great lengths to retain it’s “old America” feel. As we walked and browsed, we noticed there is a big market for remanufactured items from the 30’s to the 60’s (old road and advertising signs, old bottles, soda caps, penny candy, lanterns, enamelware, etc). It is a little disconcerting to see things you remember from your childhood on shelves as “nostalgic” items. Outside, I happily snapped photographs while the children munched on Whistlepops from the candy store. 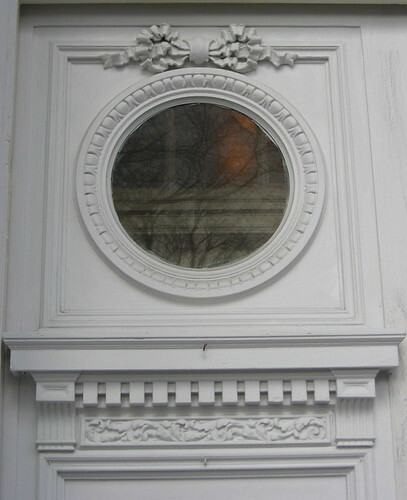 The beautiful architecture of the buildings was very appealing. Such craftsmanship! This lovely brownstone building caught my eye. Stone always looks so cold under the chilly glare of gloomy winter skies, but this brownstone pillar seemed to radiate good cheer. 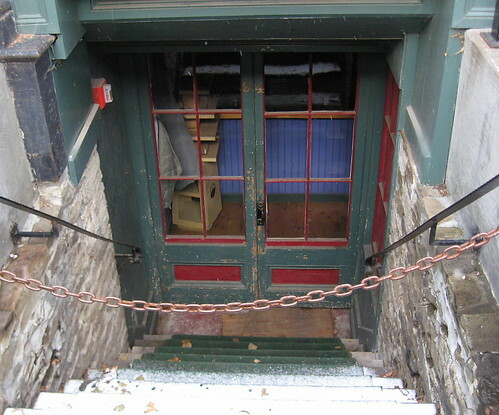 Stairs leading to lower levels beneath storefronts mystified me. They were enigmatic. Where did they lead? 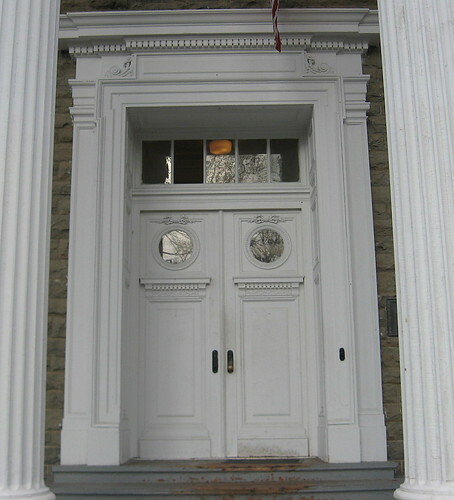 How old were these doors? Others are clearly Victorian and unashamed of their opulence. The Cooperstown Library was open, so we ventured in. What a beautiful, old building! It was surprisingly warm for such a white elephant of a building. Detail work in and out was exquisite. 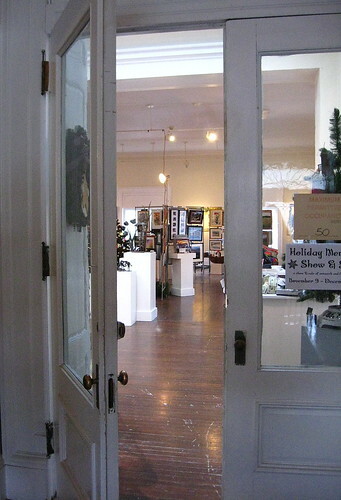 There’s an art gallery upstairs, so we poked around in there for a bit. Our stroll through the town was over. Although we didn’t play the formal museum tourist group this time, it was still good to get out and enjoy a change of scenery. 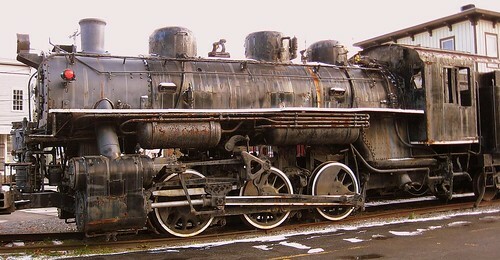 We drove down Railroad Street on our way out of town and came across this lonely old locomotive on the tracks. Other very old railroad cars and equipment rusted nearby. Some of the sleeping cars still had curtains and cots. Next stop: Fly Creek Cider Mill! Stay tuned! 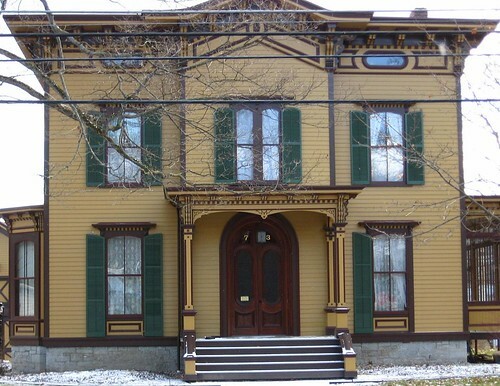 Project Gutenberg online has “The Story of Cooperstown” if you are interested in learning more about this enigmatic and legendary town. I spent a weekend in Cooperstown about 10 years ago for Hall of Fame weekend when Nolan Ryan got inducted. I think Cooperstown might just be the quintessential American town. It is almost right out of a Norman Rockwell painting. We hope you will consider joining us this spring. We have an exciting new exhibition on New York Animals opening in the spring and no one should come to Cooperstown without riding on the Empire State Carousel! Drop me a line if you are out our way! Sugaring Off in March is a great time to come! Thank you for the invite! I will certainly contact you when we decide to come down. We’ve been wanting to for a while.